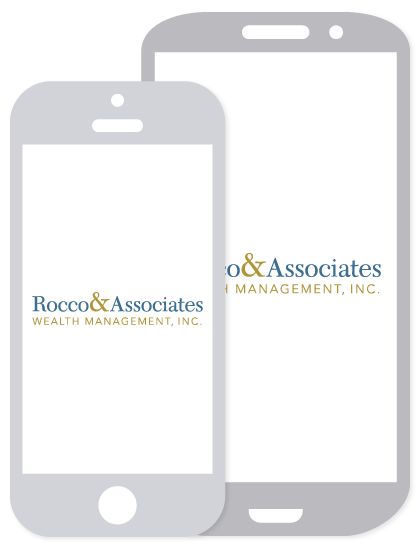 EJ's Economic Edits - Impacts of Government Shutdowns | Rocco & Associates Wealth Management, Inc. In this month’s edition, we will tackle the impending black cloud that seems to be hovering over Washington D.C. these days: The Government Shutdown. Althouh these types of firestorms have been part of the political drama dating back to 1977, they seem to have developed a personality of their own as of late. The first question that needs to be answered is what actually is a government shutdown? In brief, it is the closure of all non-essential government entities due to a lack of funding. This process needs to be approved (or rejected) by Congress for any shutdown to occur and can’t be lifted unless a budget is passed through the normal political process. Today, they also are being used as political tool to threaten other laws that are trying to be legislated that traditionally have been separated from the normal budgetary process. Combine this with our 24 hour news cycles and we can’t seem to escape the looming threat of more. But what is the actual economic impact of a government shutdown? If we look back to 2013 when the government was shut down for 16 days, we can get a historical perspective of what might be the economic impacts of another prolonged event in the future. According to research conducted by Standard & Poor’s, the shutdown in 2013 cost the U.S. Economy $24 billion. The nation’s rating agencies at that time also projected that the shutdown would reduce GDP by .06%. In addition to these hard costs, there is an additional ripple effect. What are the ramifications when a family of four plans months in advance and books flights to visit a national park and it is shuttered when they arrive? Or a small business that relies on government contracts and has to furlough employees? Those costs are harder to quantify, but clearly detrimental in the bigger picture. Again looking back at history at all of the shutdowns to date, the length of each shutdown has not been too extreme, with most lastingjust five days or less. However, 6 of the last 7 shutdowns have one unique characteristic, the actual furlough of government employees. Furloughed government workers do not show up for work and do not get paid. This was not the case in the early history of previous shutdowns, so the economic effects of shutdowns now and in the future could have larger negative impact do to these lost wages, specifically for government employees. Many in the news media are quick to take sides and blame either political party when these occurrences happen. 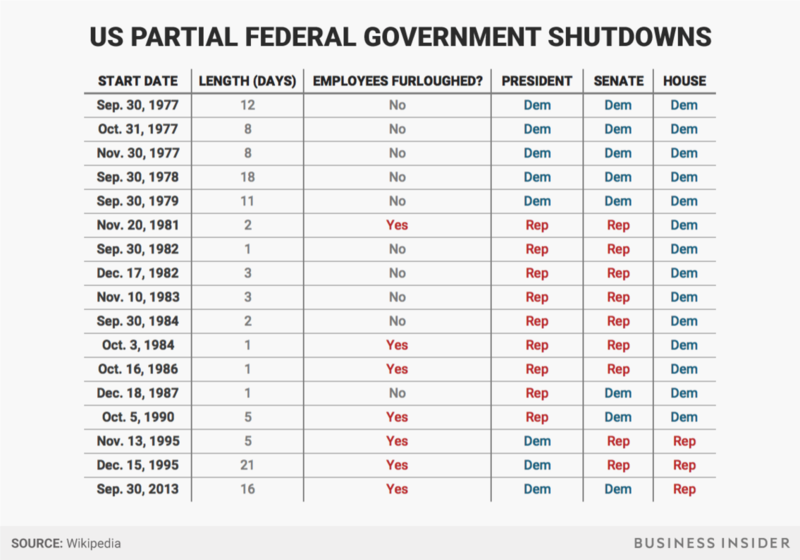 However after some research, regardless of who was in power in all branches of government, these shutdowns have still occurred on a pretty equal basis. So what will the future hold? The most recent shutdown in February and subsequent reopening funds the government until March 22nd. As stated earlier, the last debate was rather heated as both parties seemed to be jockeying for position on other legislation, at the expense of the American people. One thing still holds true, the U.S. Federal Government simply cannot continue to use the budgetary process and the threat of a government shutdown to help pass an agenda. It adds uncertainty to employees, disrupts financial markets and in general leads to more overall anxiety when it comes to the political process in D.C. There is a need to focus on longer term solutions that both parties can agree upon. It only continues to reiterate the dysfunction that exists within Washington, and it’s safe to say at this point, no party wants to be reminding their constituents of this during the upcoming mid-term elections. So let us all hope the March date comes and goes and we can all get back to doing the nation’s work as a collective, bipartisan group, with everyone’s needs and interests being addressed. Until next time, keep the faith!